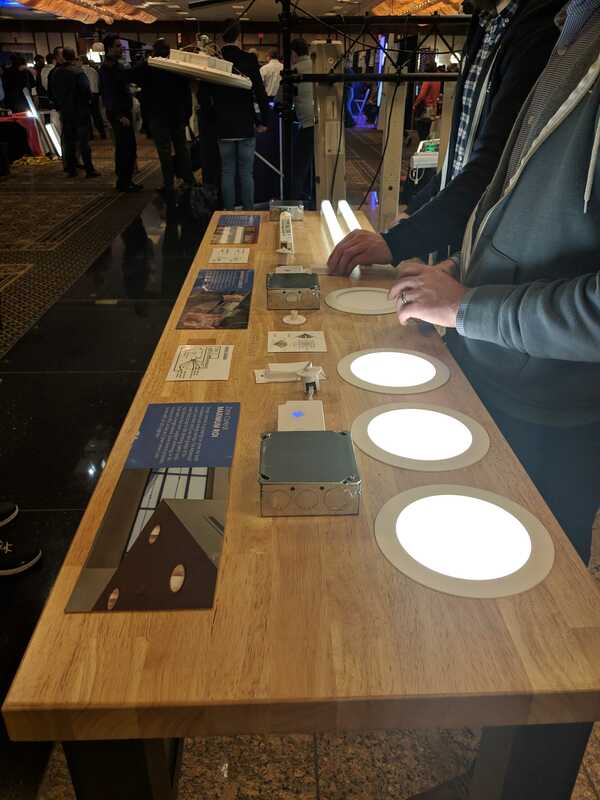 We were fortunate to exhibit at this year’s Illuminating Engineering Society’s Detroit Product Expo. 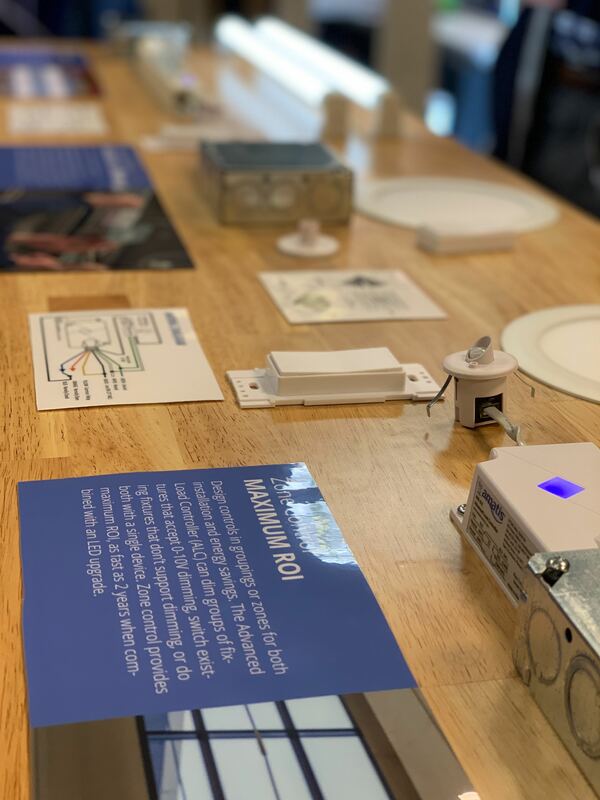 Staying true to our mission of showing how simple lighting controls can be, we constructed a demonstration table to help showcase various applications of our wireless lighting controls. We got to have some fun woodworking, too. 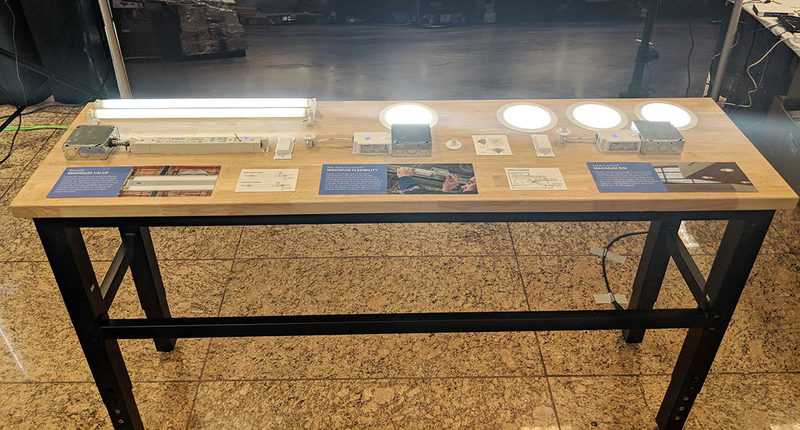 The table is split into three sections with different applications, to showcase retrofitting controls, per-fixture controls, and controlling groups of fixtures. 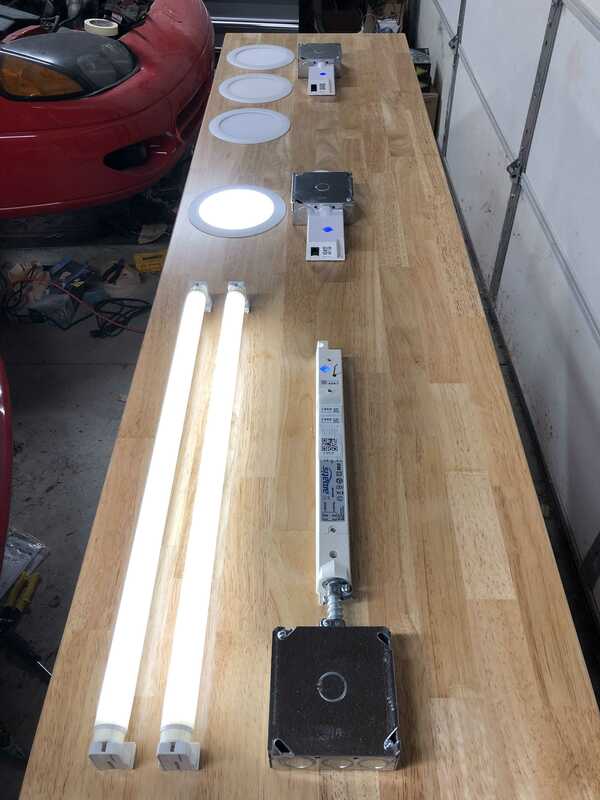 The left side of the table shows a retrofit example, using Smart Drivers when retrofitting linear fluorescent fixtures to LED. In these retrofits, the fluorescent tubes and ballasts are replaced with LED tubes and the Amatis Smart Driver with dimming capability. Retrofitting provides maximum value, providing all the benefits of intelligent controls at a lower investment level. The center of the table shows per-fixture control, designed for more customization. 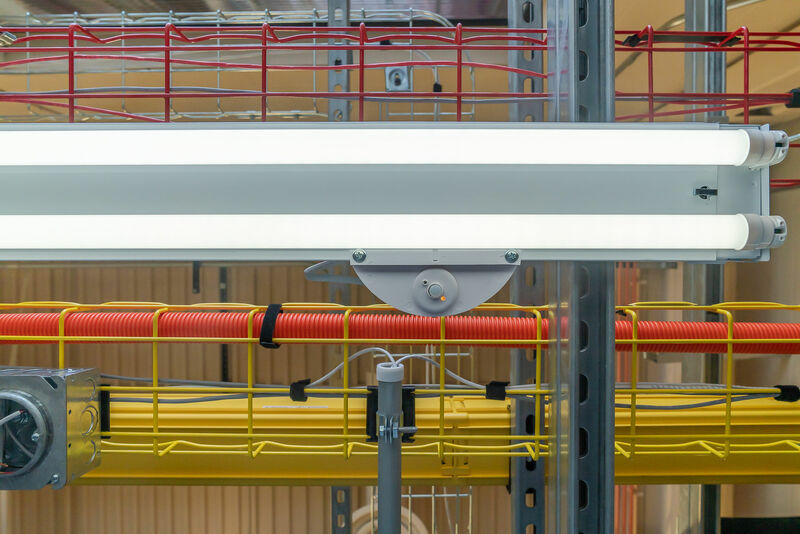 The 20 amp on/off relay Advanced Load Controller (ALC) with a 0-10V dimming output is the most commonly used form of fixture control in our system because it is simple, adaptable, and powerful. 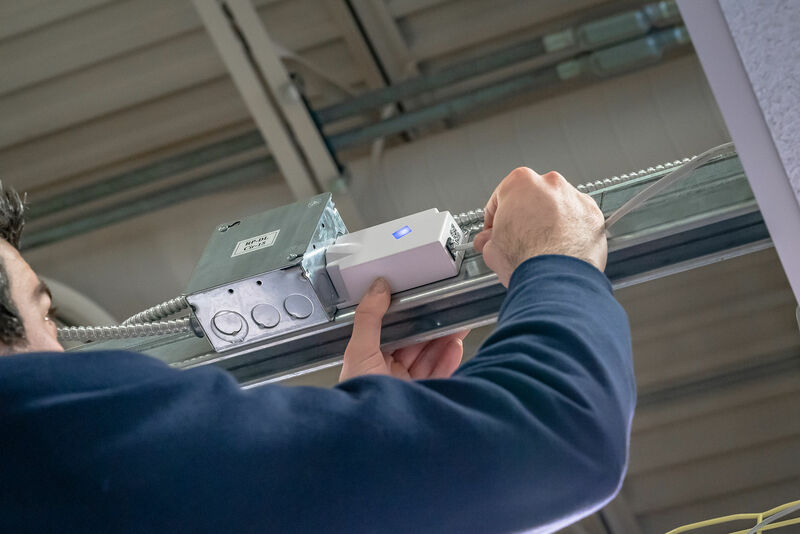 Per-fixture control via the ALC provides maximum flexibility, with the ability to re-zone digitally after installation without modifying electrical circuits. The right side of the table demonstrated controls in groupings or zones for both installation and energy savings. 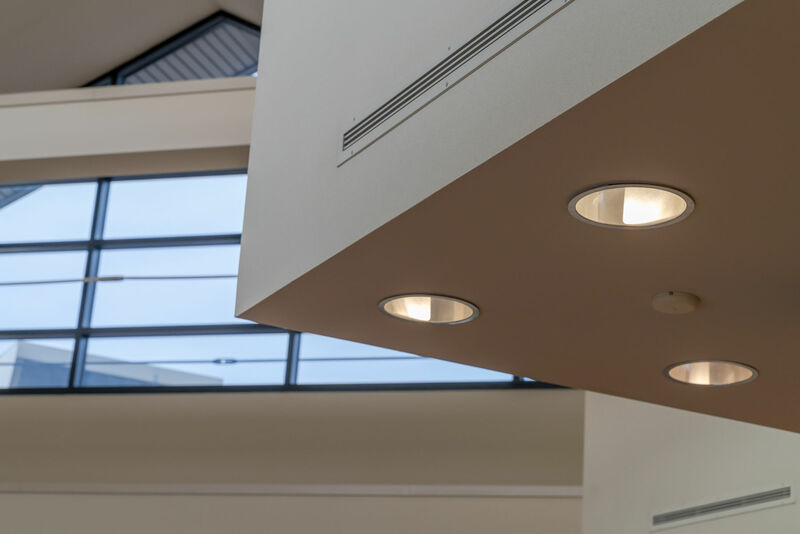 The ALC can dim groups of fixtures that accept 0-10V dimming, switch existing fixtures that don’t support dimming, or do both with a single device. Zone control provides maximum ROI, as fast as 2 years when combined with an LED upgrade.